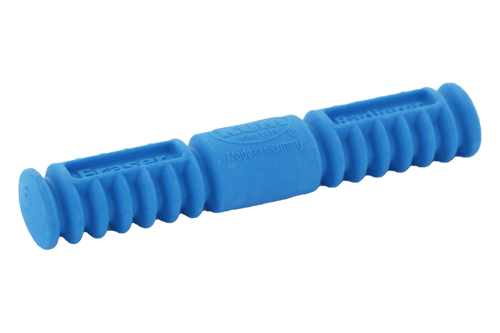 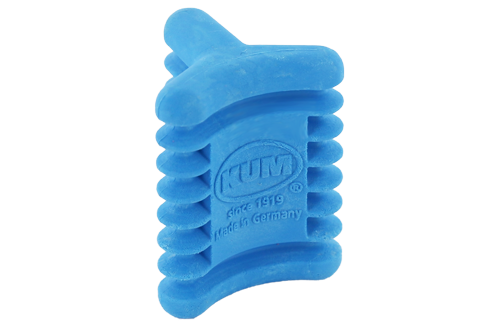 Eraser - KUM | Made in Germany | Anspitzer Zeichengerate uvm. 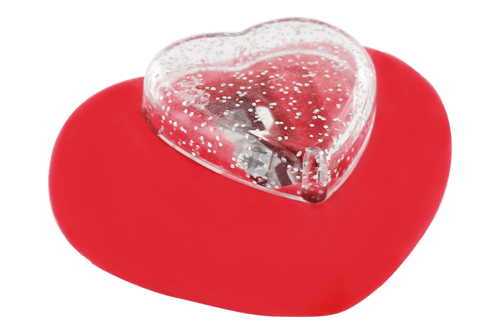 Small mistakes while writing or drawing can happen very easily. 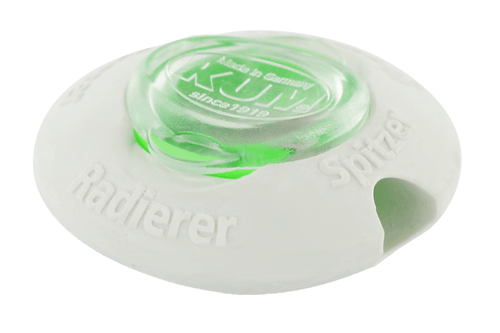 Unfortunately, it often happens that they can not be removed or that the paper is damaged by aggressive scratching. 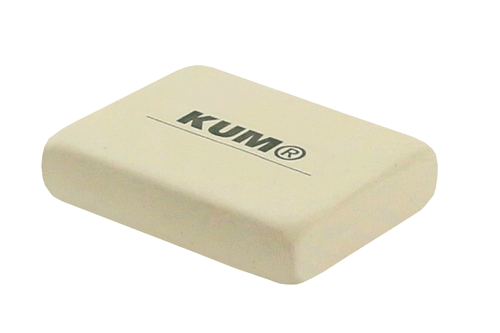 In order that your sheet can shine white again, you need an eraser of the highest quality. 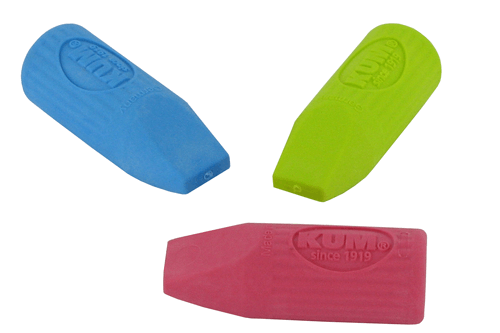 Our erasers can eliminate pencil and colored pencil lines without smudging and bleeding. 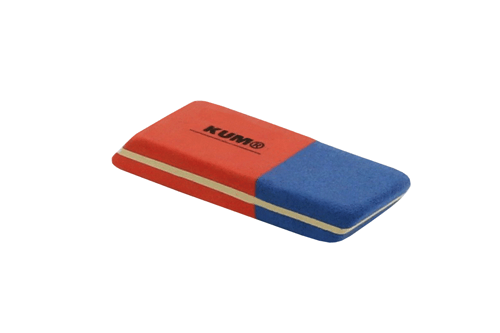 And that without unnecessarily straining your paper. 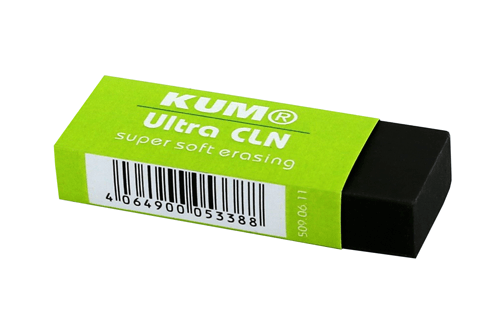 The Ultra Cln erasers remove pencil and colored pencil super soft, without damaging the paper. 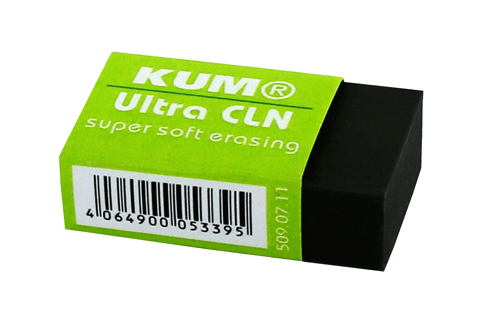 Additionally they erase without smudging and staining. 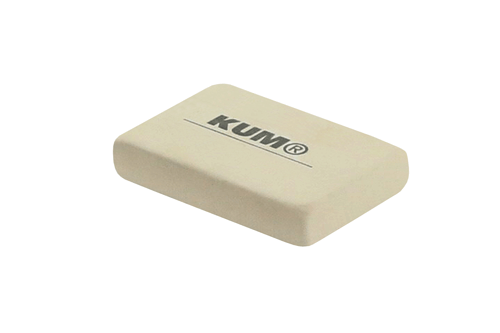 The erasers can be uses on different surfaces, like paper, carton and wood. 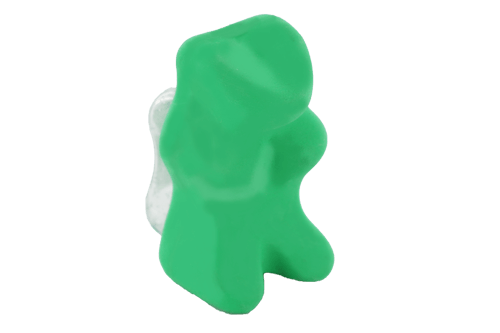 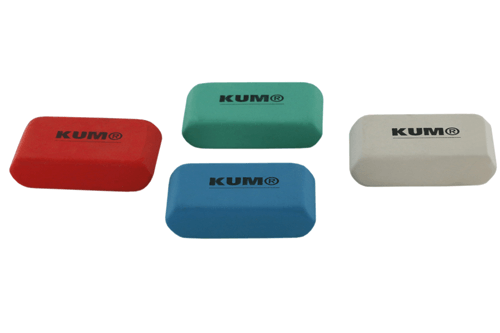 Of course our erasers are free of PVC, latex and phthalates.